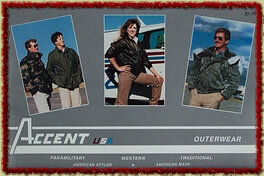 Established in 1986, Accent USA began as a mail order catalog business specializing in American made outerwear. Although moderately successful the catalog was seasonal. Management concluded that the catalog needed supplemental help to be profitable throughout the year. The search was on at that point to discover a way to balance the scale between fall and spring. All season activewear seemed to be the perfect link and the decision was made to expand into manufacturing. After a short period of time it became obvious that screen printing on activewear was in fact, a booming business and showed great potential for growth. 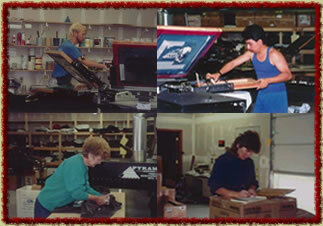 The mail order catalog was supplemented and the push was on to expand and provide custom printing along with an all season wholesale screen print line to offer to western stores, resort gift shops, museums and ski shops. It was the right move at the right time. Plans were then put in play for a new facility large enough to accommodate the expansion and construction began in October of 1991. The new facility was completed in March of 1992, later followed by a 2200 sq. ft. addition completed in February 1997. If you have done business with us before, you already know about our rock-solid guarantee on all of our products and services. We understand that doing business for the first time, with an unfamiliar company, may cause some apprehension. Since we provide only trustworthy, quality garments from reputable suppliers and manufacturers, along with our hands-on approach to production, designing and applying your logo or design, we can confidently and fully guarantee all of our products and workmanship against any defects, communication mishaps or color inconsistencies. our commitment to quality, service and honest correspondence with our customers, has paved the way to many long-lasting relationships and enduring friendships with those who have honored us with their loyalty year after year. To these customers we want to say that we honestly do appreciate each one of you and we will continue to dedicate ourselves to preserving your trust and supplying your needs to the best of our ability.